This committee consists of a sub-group of ACVO ophthalmologists who currently provide PharmTox services to companies, and those Members who would like to become involved. 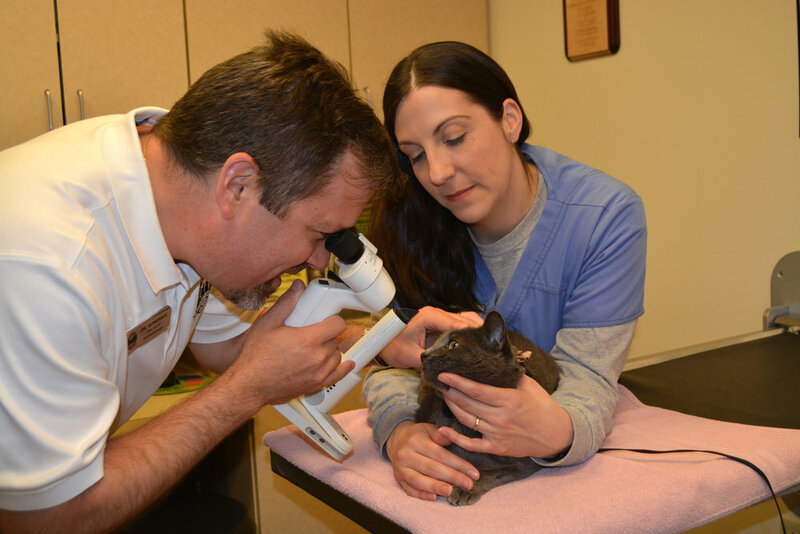 The committee works to promote education among each other and promote the benefits of PharmTox services by a veterinary ophthalmologist to the related industry. This brochure on 'The Role of Veterinary Ophthalmologists in Pharmaceutical and Toxicological Testing', can be a helpful for members when working with a client. 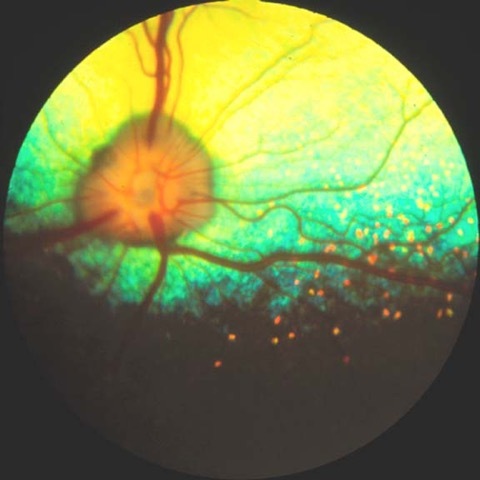 ACVO Standards for Ophthalmic Examinations In Pharmaceutical and Toxicological Studies are also included. View or Download brochure. Interested in joining the Pharm-Tox Listserve? You must be an active ACVO Member to join. To join the discussion, please send your request to Dr. Michael Brown or contact the ACVO office. Information to the public is posted on the public site ACVO.org. You can refer public inquiries to this page. Purchase online access to the 2016 Toxicology course, presented at the 47th annual ACVO conference in Monterey, CA. Course provides an in depth review of how to appropriately and effectively work with the pharmaceutical industry in studies of ocular pharmacology, toxicology, and drug delivery. ACVO members receive a discounted rate for all optional courses. Lecture notes, available in PDF format, can be emailed after access has been purchased. Due to varying licensing board regulations, the ACVO cannot guarantee CE credits will be provided for the viewing of online courses but a CE form may be provided upon request. Following a successful satellite meeting centered on the ocular surface at the Fort Worth ACVO Meeting, the Comparative Ocular Surface Disease Work group is pleased to host another session, this time integrated within the upcoming ACVO meeting in Baltimore. Once again the focus of the session will be the tear film and its interaction with and contributions to the health of the cornea and conjunctiva. Abstracts were submitted specifically for this session and will present new information regarding tear film composition and monitoring, diagnostic approaches to qualitative and quantitative tear film dysfunction, and the clinical signs and management of ocular surface disease related to evaporative or secretory dry eye disease. This scientific session will be conducted just like the remainder of the ACVO’s annual meeting. The ACVO Teaching and Learning meeting hosts topics that specifically focus on veterinary ophthalmology education, organized by a volunteer ACVO Member during the ACVO Conference in the fall. It provides a venue for ophthalmologists to share teaching and learning strategies, and to hear education presentations from outside speakers with an expertise in general and clinical education. The International Society of Veteriary Ophthalmology is a separate, internatioal non-profit entity whos mission supports, "One profession, one mission". The organizaiton supports the efforts to improve veterinary ophthalmic knowledge, education, access to specialists, and delivery of clinical care in a united manner world-wide. In 2018 ACVO joined the ISVO as a group member, thus allowing its members access to ISVO's connectivity and resources. More on ISVO's history and mission. News related to each of the above groups, educational opportunities, call for information or participation will be provided to members via this blog. Members should contact the office for the group password. Check out the latest updates from the Pharma Tox Committee! Learn all about how the Vitreous Society meeting went this year at the ACVO conference in Minneapolis! View the Vitreous Society Newsletter. The Chair of the Pharmaceutical Safety Committee, Dr. Michael brown, has recently helped ACVO re-write the promotional materials that are public-facing regarding the committee's work. Interested in Becoming Involved in Pharmaceutical Safety Work? The Pharmaceutical Safety Committee will be holding a meeting at the ACVO Conference this fall in Minneapolis. Dr. Margie Gilmour is organizing the 2nd meeting at the ACVO Conference, focused on sharing teaching and learning strategies for educators. The member of the Vitreous Society are pleased to announce another lecture session in conjunction with the ACVO conference in MN.